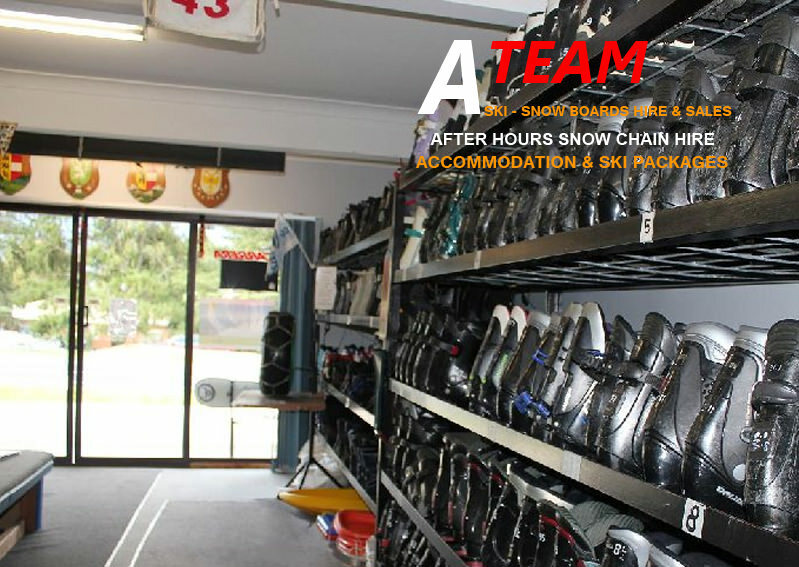 With over 30 years of experience in the ski rental and accommodation industry, the A-Team offers you friendly, personalized service and advice at the right price. A-Team ski hire offers economical accommodation and ski – snowboard rental packages for Falls Creek, Mt Hotham, Mt Beauty, Tawonga and Tawonga South, which include off-mountain or on-mountain accommodation, rental of vehicle snow chains, hire of snow sports equipment and ski clothes, Falls Creek ski resort entry passes, lift passes and ski lessons, skiers insurance, and more. We’ve got something to suit every budget! Our ski shop is located in Tawonga near Mt Beauty, only 32 km from Falls Creek Ski Resort and we are open ’til late. So, call us now to book your ski package early and save, at the A-Team, we ski your dollar further. Group discounts are available. We have been in the Ski industry for over 30 years and can help you choose the right gear for you, from beginner to advanced, whether you snowboard, ski or just want to have a bit of fun in the snow. Hassle free chain hire! Drop us a quick line with your tyre size ( you can find this in your manual or or on the tyre, it will look like this 225 x 45 x 16) we will reserve it for you to pick up on your way through, even if it is after hours. Visit our website for our latest packages and deals for accommodation.